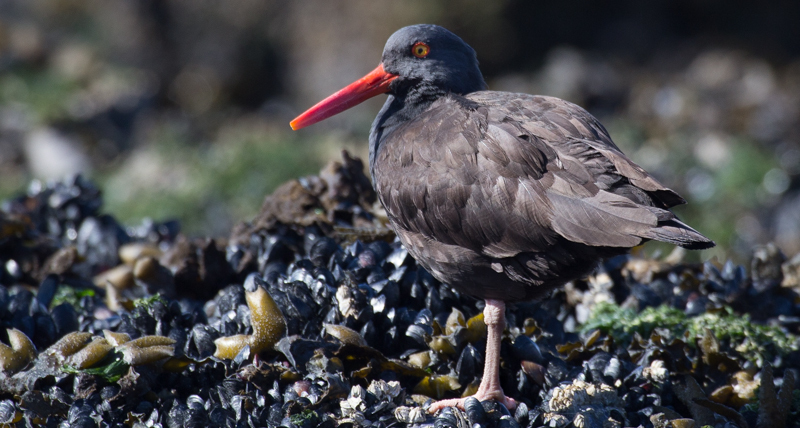 The Oystercatchers have begun to move from the outside to the inside.They always come in when the Fall/Winter storms begin to hit. It’s the only time I can get close to them. 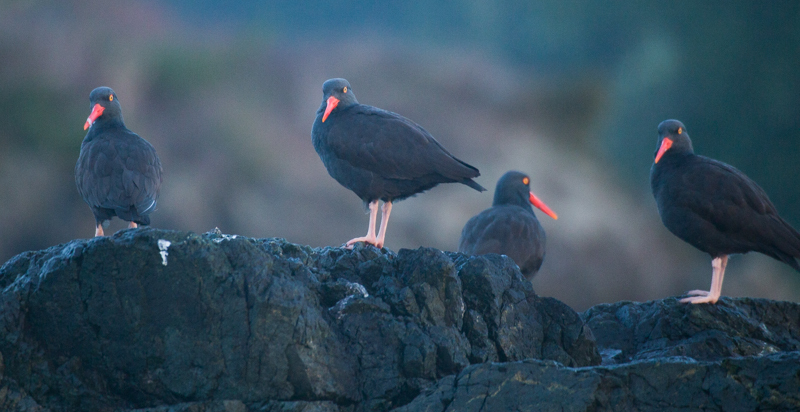 Oystercatchers have a orange donut around each eye! Makes them look cute! The weather “finally” broke today & I was off like a shot! The tide was perfect for bears too! I went up into Gunner & found a young female right away. She seemed a bit shy,so I played it cool. 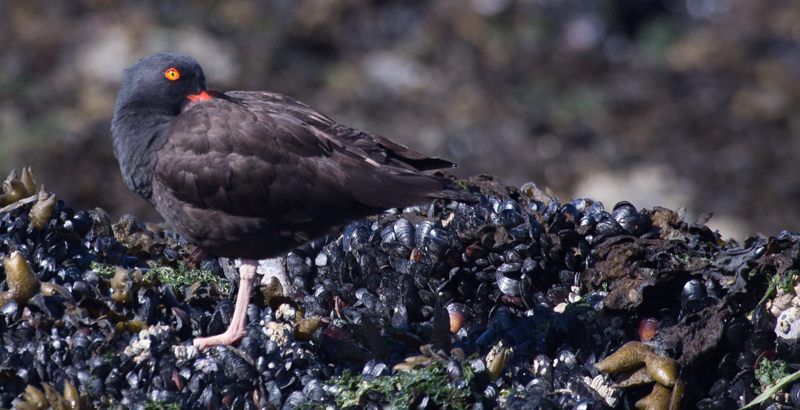 She was munching away on barnacles. Unfortunately for me,there were some clouds about. A black bear in the shade is not exactly the best way to show them. I like bright warm light to show that fur halo around their head! She was the only bear home in Gunner Inlet,so I said goodnight & went on over into Fortune Channel to look for more. I found three more but could only get two of them. I had to beach the boat & walk up on land to get closer. They are staying further back from the shore because the fresh Spring sweet grass only grows above the tide line. This is the time of year I get reacquainted with old friends & meet new ones. I can’t say I remember any of these bears,but will keep a eye out for them? The sun went in behind Meares Island & that’s always my cue to head back for the harbour sunset. I stopped off briefly to chat with the Daredevil at Tsapee Narrows. Delilah was around as well. The sun was getting low so I continued on into the harbour. I came across a heron silhouetted against the setting sun & couldn’t resist. I than moved on over to visit with my pal Romeo & his partner Juliette. I took some great shots of them but it turns out you won’t be able to see them ever! I downloaded them & reformatted my camera as usual. Turns out 170 shots were downloaded instead of the 276 I shot! The entire sunset shoot wasn’t downloaded for whatever reason? That really pissed me off! I’ll have to check each time now that the entire shoot was downloaded before I reformat! It still was a great shoot & even better to find some of my furry friends back out again!